There are still many adverse things to say about garlic and onions. Not so well known is the fact that garlic in the raw state can carry harmful (potentially fatal) botulism bacteria. Perhaps it is with an awareness of this that the Roman poet Horace wrote of garlic that it is “more harmful than hemlock". It should be pointed out that Garlic and onion are avoided by spiritual adherents because they stimulate the central nervous system, and can disturb vows of celibacy. Garlic is a natural aphrodisiac.Five fragrant or spicy scented vegetables" - that each have a detrimental effect on one of the following five organs - liver, spleen, lungs, kidneys, and heart. Specifically, onions are harmful to the lungs, garlic to the heart, leeks to the spleen, chives to the liver and spring onions to the kidneys. So dear readers many of them said many things about onion and garlic. But we always follow our traditions and customs. 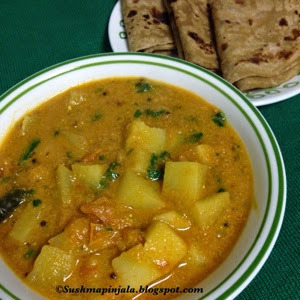 So this is another yummy dish for festival days without onion and garlic. Soak chickpeas overnight or for at least 8 hrs. Wash thoroughly and add to presser cooker. Presser cook the soaked chana / chickpeas for 2 whistles. Now make a paste with half of the cooked chana. In an another pan heat oil and add 1 cardamom, 1 cinnamon stick, 2 cloves, 2 bay leaves, curry leave sand slit green chilies. Saute for a minute and add tomato puree. Add turmeric powder and let it cook for 3 minutes on medium flame. Now add the whole chana and chana paste. Also add salt to taste, 1 glass water and mix well. Cover and cook for 5 minutes on medium flame. Meanwhile make powder with rest of the whole garam masala. Once the chana is cooked add roasted chili powder, roasted cumin powder and garam masala powder. Mix well and cook further for 2 minutes. Now add chopped cilantro and serve hot. To make roasted cumin powder just dry roast the cumin and make powder out of it. To make roasted chili powder, dry roast red chili and make powder. 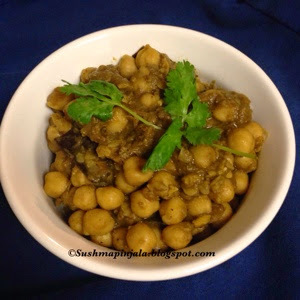 Click here to see what my fellow bloggers are cooking for Blogging Marathon # 46.
delicious chole!! 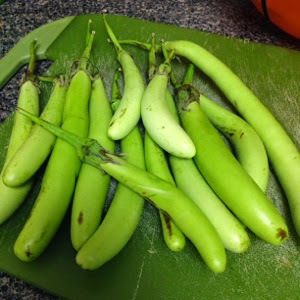 perfect with roti or batura..
delicious and yummy chole recipe. You presented some very interesting facts over the last three days. 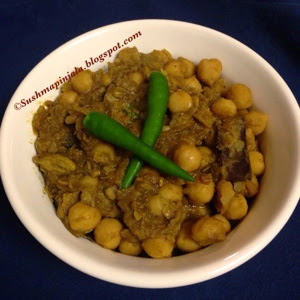 I love this dry chole recipe. I love any kind of channas...these look so good even without onion and garlic. I am sure channa in any form will be welcome..your version looks good.. Sounds delicious. I use of curry leaves is new to me. Wow, this no onion no garlic chole looks prefect for me. So flavorful. No one would even miss the onion in this.